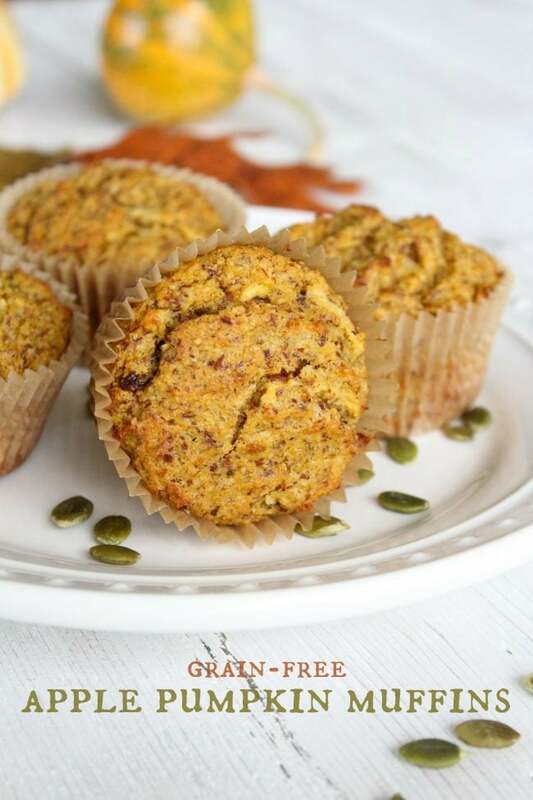 Low in sugar and grain-free, these spiced pumpkin muffins, studded with apples and raisins, make for a healthy breakfast or snack during the fall season. Hey friends! How was your weekend? Mine didn’t seem quite long enough, as usual, but it was filled with warm ‘n’ fuzzy feelings. Grace – my good friend who recently moved away in May and was visiting for the weekend – and I embraced the cooler, fall weather (and rain!) one hundred percent. Saturday night we stayed in, cooked dinner and watched a chick flick. Sunday morning, we woke up and went for a chilly run in the park. 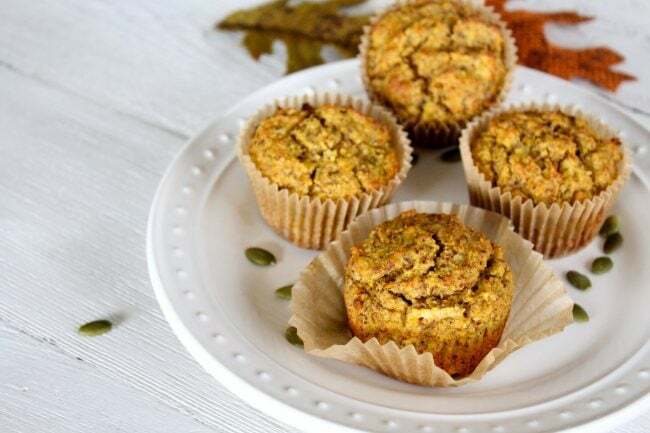 Afterwards, we whipped up a batch of these muffins and headed to our favorite coffee shop for their seasonal pumpkin pie lattes. Aside from visiting friends, Grace’s other priority was this #PSL. After a cozy morning at the coffee shop, we wandered around downtown in the rain — ahhh. Then Grace headed back to her current home in Tahoe and I spent the remainder of my Sunday in the my happy place, the kitchen. If you follow me on Instagram (@hillontherun), you may have seen some footage via my Instastory. I had some leftover ingredients from last weekend’s recipes, so I made another half-dozen Dark Chocolate Pumpkin Almond Butter Cups, Pumpkin Breakfast Cookies, and roasted up some butternut squash and Brussels sprouts. 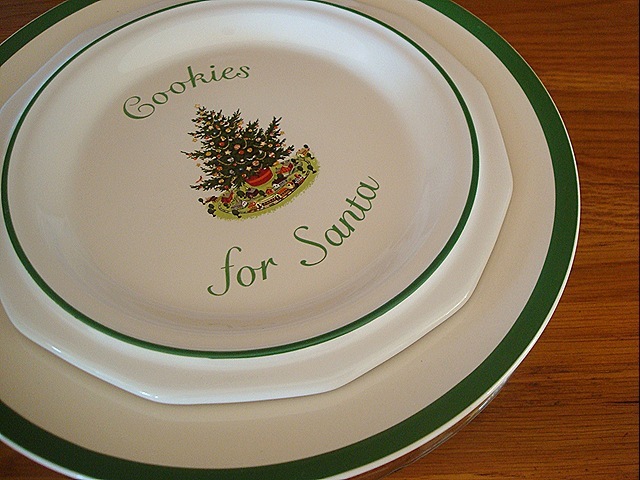 Miss Grace is a goddess in the kitchen and is the baking extraordinaire behind Butter & Salt. I was telling her I had this pumpkin muffin recipe on my blog circa 2013 that I wanted to refine (as well as update the cringe-worthy photos). We added an egg, swapped the olive oil for coconut oil, shredded the apple versus chopping it, added pumpkin spice for simplicity, and a handful of golden raisins. The outcome was quite nice! 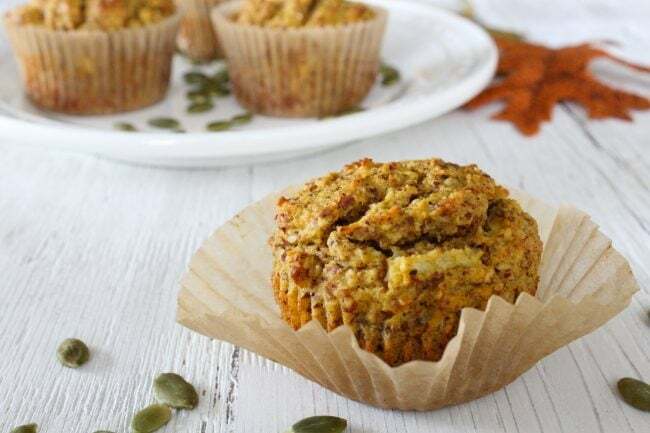 These muffins are just barely sweet (with only two tablespoons of maple syrup), so feel free to add another tablespoon or two for desired sweetness. 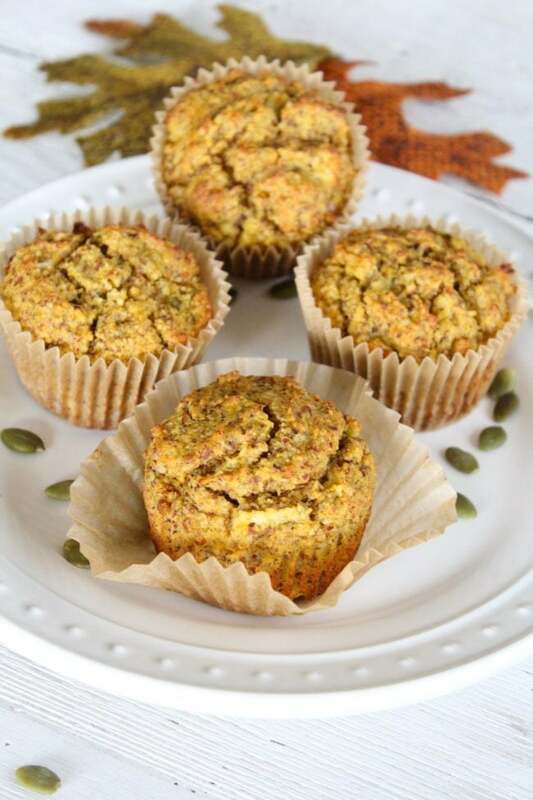 These muffins pair perfectly with a warm pumpkin spice or turmeric latte – enjoy! 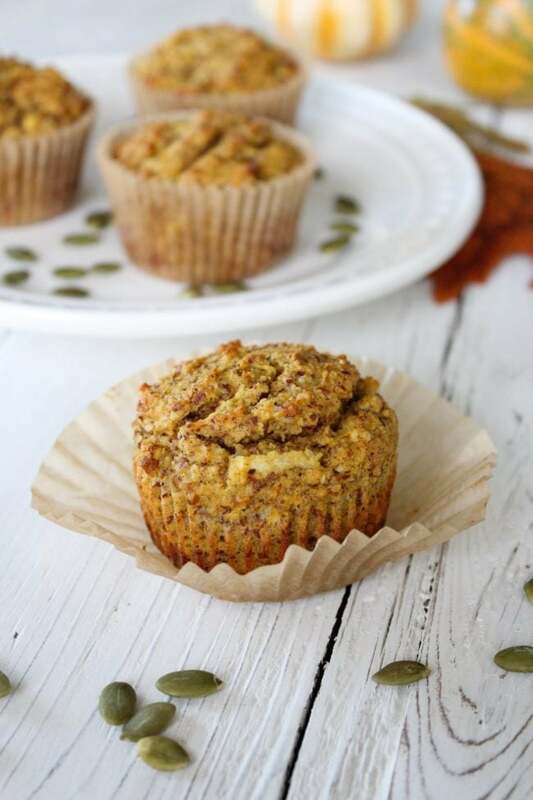 In a mixing bowl, combine almond meal, baking powder, pumpkin spice, and salt. In a separate bowl, combine pumpkin, eggs, syrup, and oil -- whisk together. Add wet ingredients to the almond meal mixture. Stir to combine, then fold in the grated apple and raisins. Plop batter into a lined muffin pan. 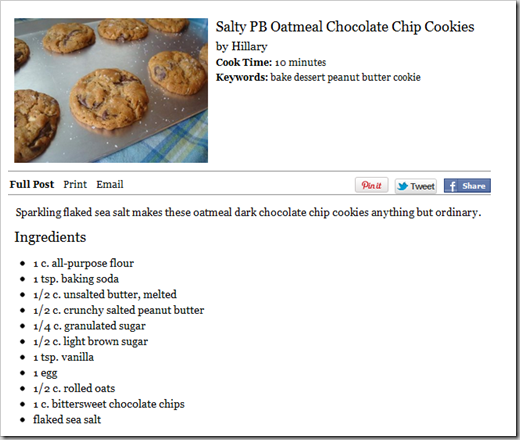 Bake for 18-20 minutes at 350F. Add 1-2 additional Tablespoons of maple syrup for desired sweetness. 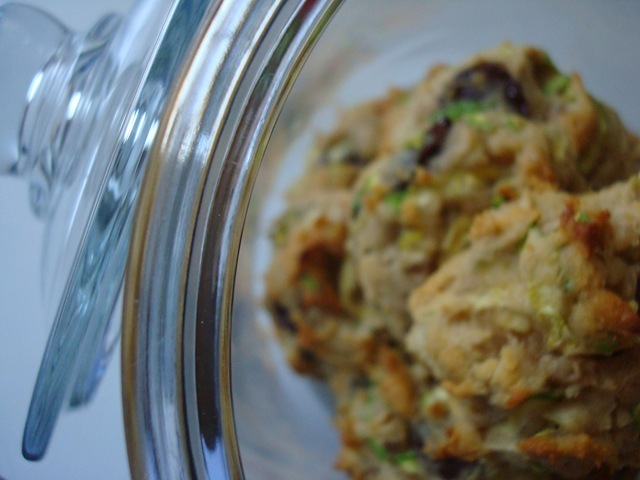 zucchini walnut chocolate chip cookies. 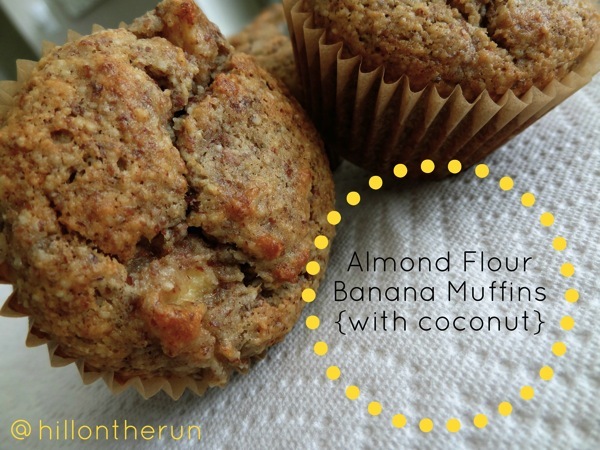 I’ve just started baking again with almond flour, these look awesome!